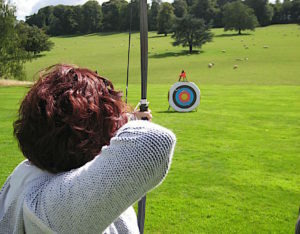 Every year Welborn Media likes to take a look back on the past year to reflect on the year we had and to plan for the year ahead. We always create a top 10 list as we celebrate another year in business. Here is our Top 10 for 2018! If this year had a theme for our business it may have been about membership organizations. This year we took advantage of several opportunities to work with local membership organizations including the University Club of Pasadena. Our ability to help improve the impact these organizations have as well as increase membership has been noticed. 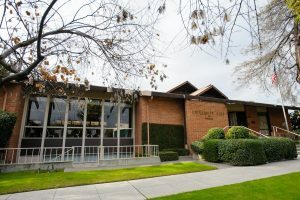 The University Club of Pasadena is a social and business networking club with a beautiful home base facility that is also a desirable event venue. This year Zeb Welborn continued delivering presentations to business owners across Southern California. 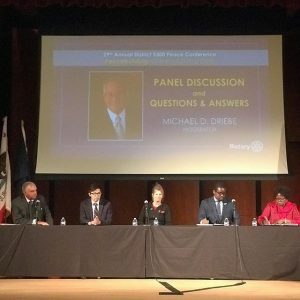 He spoke more than a dozen times in Southern California with the San Bernardino Workforce Development Board, the City of West Covina, the University Club of Pasadena, the Inland Empire Small Business Development Center, the Ontario Chamber of Commerce and more! 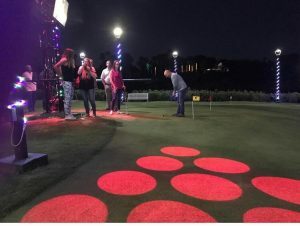 NextLinks – one of our most interesting and innovative clients – had a phenomenal year which includes the opening of a first-of-it’s-kind facility, Shots in the Night, at Indian Wells Golf Resort. 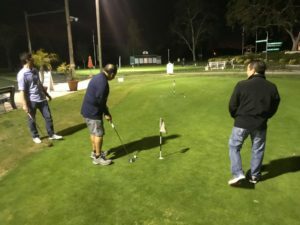 The NextLinks Putting Green Experience allows golfers and non-golfers of all ages to play different golf inspired games together in a fun social environment. 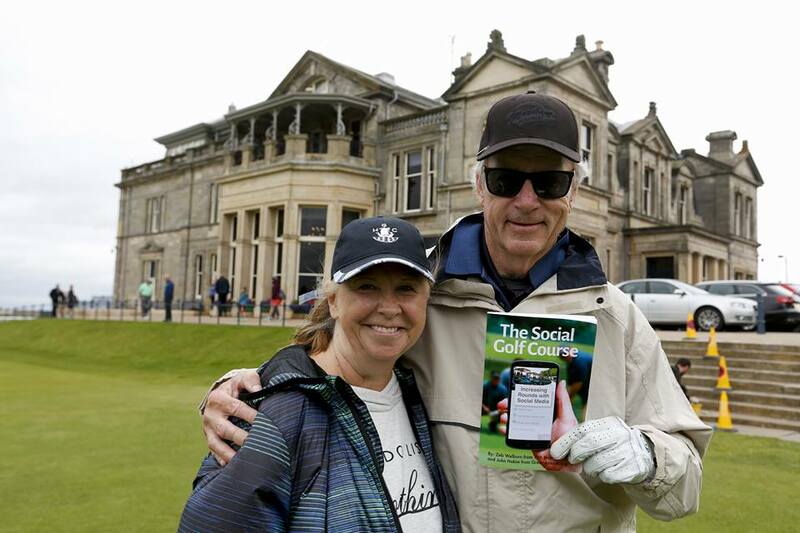 The experience has been commended for staying true to golf while also attracting new people to the game who maybe wouldn’t have tried it before. 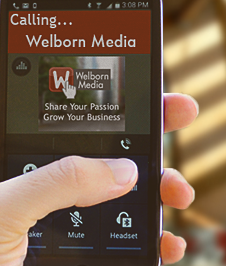 Welborn Media works on several websites and we fully manage and host about a dozen more. This year we tackled the challenge of moving all those websites to a new virtual private server. This move gives our websites better security and more opportunities for performance optimization. 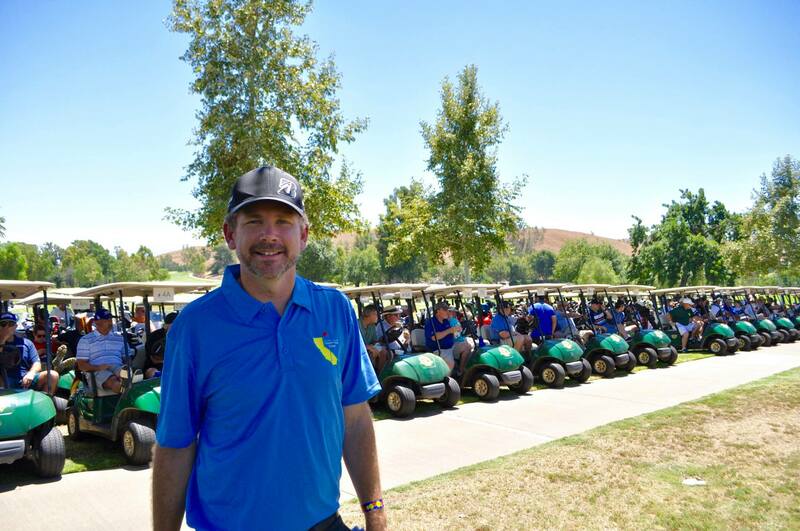 We had another amazing year with the Southern California Charity Golf Classic at Los Serranos Country Club on June 29, 2018 as we raised $13,225.97 for local charities in our community. If you’ve followed Zeb Welborn for any amount of time then you probably know about his love for golf. 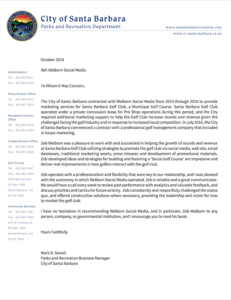 We even run 19th Hole Media, to provide social media tools and management to golf courses in Southern California and beyond. 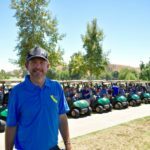 This year Zeb’s love of golf and enthusiasm to grow the game has earned him a spot on the Advisory Council for the California Golf Course Owners Association. Rotary International District 5300 covers Southern Nevada, the High Desert, Antelope Valley and more areas of Southern California. In June, Zeb Welborn was announced as the Public Relations/Social Media Chair. 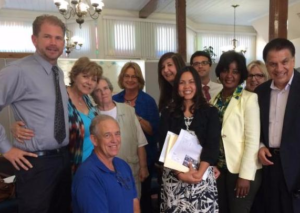 Zeb has met some wonderful people who are doing great things through Rotary District 5300. 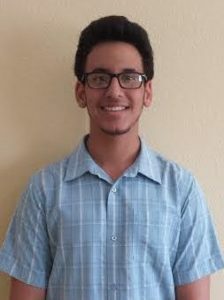 He’s also had some amazing experiences including attending the Rotary Peace Conference. Zeb Welborn finished up his term as the President of the Rotary club and passed on the role to Chris Foster. During his year as President of the Chino Rotary Club the club grew their membership from 14 to 26 members, the fastest growing Rotary club in District 5300 for the 2017/2018 year. Our club raised nearly $30,000 through our Dinner & Auction and gave back more than $30,000 to our community. Members of the Chino Rotary Club helped secure close to $1,000,000 to help support various causes throughout the world. 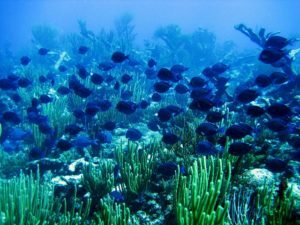 We helped secure $600,000 for a water project in Honduras; several hundred thousand for Rotary Project Hope, a program to teach leadership programs in Mexico and a $61,000 scholarship for Anna Casalme to attend the University of Edinburgh for Childhood Studies. District 5300 also honored us with the Governor’s Bell Award for the most outstanding small club in our Rotary District. 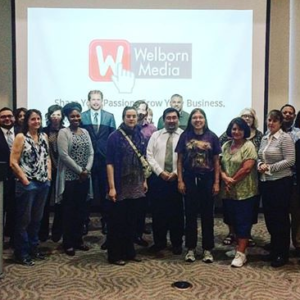 Welborn Media has been involved with the Chino Valley Chamber of Commerce since almost the beginning of our business. 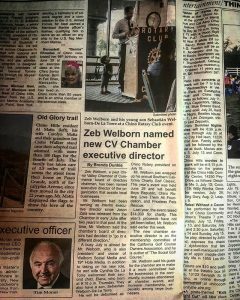 Zeb Welborn has been very active at the chamber and has been a member of the board, then Chairman of the Board and now he’s taken on the role of Executive Director. Since Zeb has taken the helm the organization has seen drastic increases in event participation and attendance (up 29%), sponsorship (added 5 major sponsors) and membership (added 60 members). 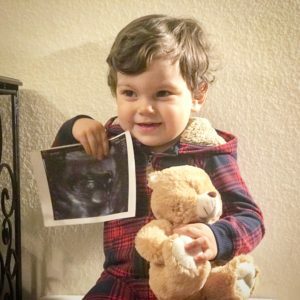 Elena Welborn-De La Torre was born on July 5, 2019. 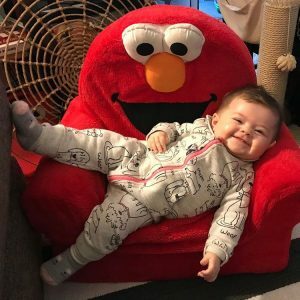 She is such a happy baby and it’s apparent that she is also full of love for her brother, Sebastian and parents, Zeb and Cindy. No doubt she will grow into an amazing passionate person. For this project Zeb Welborn teamed up with CP Phan and Arianna Fajardo. They worked together with DLT Growers to create a video promoting their new offering: Dwarf Carpet of Stars, also known as Ruschia Nana. Zeb’s Father-in-Law is the owner of DLT Growers, a ground cover nursery in Chino/Ontario. He discovered the potential for Dwarf Carpet of Stars to be used as a lawn substitute. After propagating the plant and testing samples it became clear that this plant is simply the best living choice for water conscious landscapers and homeowners. It’s better than grass. It stays green year-round, requires limited maintenance, is drought-tolerant and looks amazing. If you know any landscapers, construction companies or developers who would be interested in checking out this new drought-tolerant plant please let me know. Reply to this email or contact Zeb on Twitter or Facebook or at Zeb@WelbornMedia.com. If you would like a video created for your business let us know! We loved working on this project and already have plans to do more. 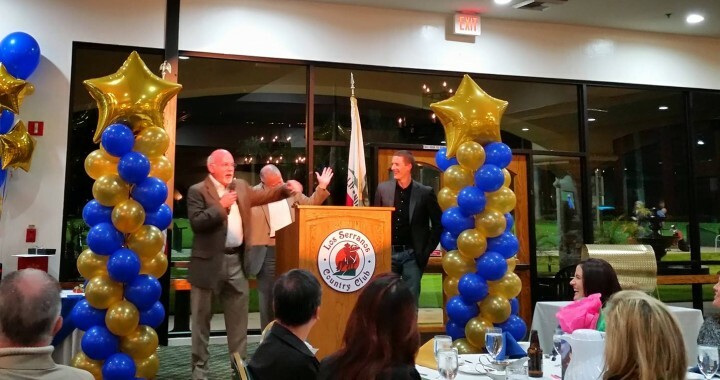 ﻿In March, the Chino Rotary Club hosted the annual Dan Stover Music Contest. We had some great contestants and identified a winner who will be moving onto the next round of the music contest. Hopefully we will see him at the District Conference. One of my duties as President-Elect is to plan and host the Chino Rotary Dinner & Auction. The event will feature world-class violinist, Jennifer Argenti, master magician, Danny Magic, master of ceremonies, Gene Hernandez, great food, a wonderful venue and a raffle, silent auction and auction. We have already secured tons of great donated items including vacation stays, sports tickets, gift cards, and more. We are looking for people to sponsor, donate and attend the event. Please let me know ASAP if you’re interested in doing so by replying to this email. Since February 1925, Rotary has been saving lives both close to home and around the world by tapping into a global network of service clubs dedicated to raise funds and awareness for challenges such as poverty, illiteracy, polio eradication, clean water and sanitation, and malnutrition just to name a few. The Chino Rotary Club is part of that global network that has united many great minds around a shared purpose: “To improve the quality of life in our community.” With a long history of involvement and financial support for local programs, the Chino Rotary Club aims at making 2017 a year to expand their support of community and international projects by hosting an array of fundraisers during the year that will help the club do what it does best, give! 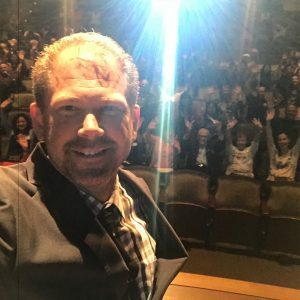 “This year our goal is to raise $30,000 for Youth Leadership Camps, Entrepreneurial Training, Music, Essay and Speech Competitions for our local high school students, food, clothing and childcare for Chino Valley residents in need, basic commodities to support our active military troops, and new to our list of philanthropy endeavors is to support those who have been victims of human trafficking,” said Melinda Robbins, MBA President of the Chino Rotary Club. “We will meet this aggressive goal by starting our fundraising efforts with our 2017 Annual Dinner & Auction,” she concluded. 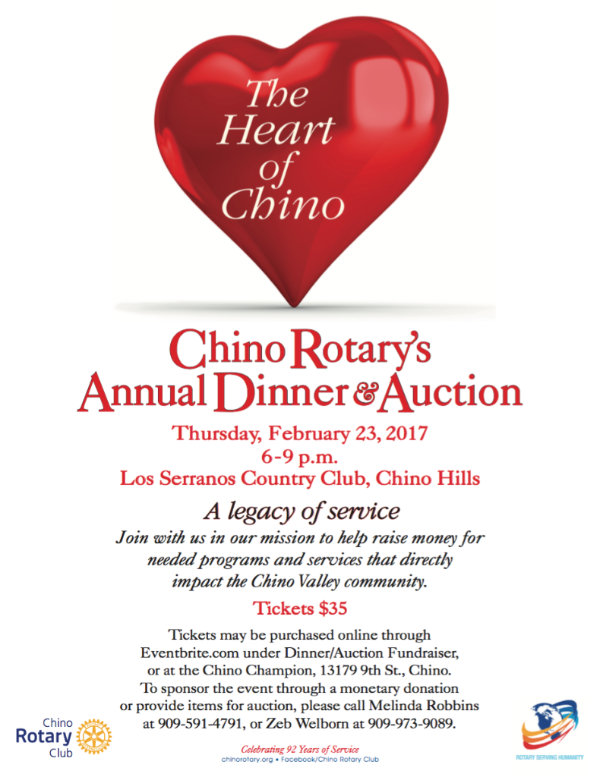 The Dinner and Auction’s theme is “The Heart of Chino – A Legacy of Service” which truly denotes the local club’s mission to give and serve. This event will be held on Thursday February 23, 2017 at the Los Serranos Country Club in Chino Hills from 6-9pm. Tickets for this event cost $35 per person and can be purchased online through Eventbrite.com under Dinner/Auction Fundraiser or purchased at the Chino Champion Office located at 13179 9th Street in Chino. Everyone is welcomed to attend this fun-filled Dinner and Auction Fundraiser. The Chino Rotary Club is also seeking event sponsors and accepting items for the Silent and Live Auctions. 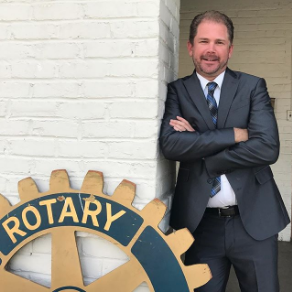 “We seek the help of community sponsors to partner with our Club at various monetary levels to help us make a significant and sustainable difference in our community and together leave a lasting impact,” said Zeb Welborn President-elect of the Chino Rotary Club. For more information about being an event sponsor or providing items for the auction, please call Melinda Robbins at 909-491-4791 or Zeb Welborn at 909-973-9089. Let Zeb know if you plan on attending, send an email to Zeb@WelbornMedia.com. We have come a long way since we started in 2010. Here is our Top 10 of 2016. Zeb held a number of speaking/education sessions this year. 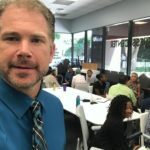 Some were hosted by San Bernardino County Workforce Development, Inland Empire Small Business Development Center, Loma Linda Chamber of Commerce, and Chino Valley Chamber of Commerce.The San Bernardino County Workforce Development Board and the Inland Empire Small Business Development Center have asked Zeb to come back for a series of workshops in 2017. 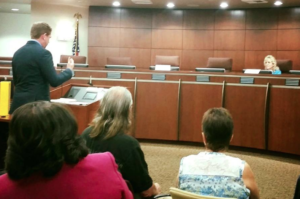 Zeb Welborn moderated the Chino and Chino Hills’ Community Forums. It was a memorable experience in a year where politics were at the forefront of everyone’s mind. This year we met many people who are passionate about that they do and we were able to work with many of them on their internet presence.Our new clients this year include Eye Eco, CORE Real Estate, San Bernardino County Workforce Development Board, Fairway Mortgage, Tony’s Truck Shades, Intensity Security US and OoMaLoo Dog Toys.We also got the chance to work with Monte Vista Farms, ABC Public Relations, Delicate Smiles, TXD International, Inland Caregiver Resource Center, DLT Growers and Elite Dental Associates through an awesome program with a business boosting organization, DI Solutions, in the Inland Empire. In our 5th year of business, we have consistently grown our business by 50% year over year. It’s something we are extremely proud of and have no signs of slowing down. It’s amazing what we’ve been able to create in just five years. 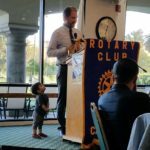 This year Zeb was able to participate in some awesome and memorable volunteer opportunities with the Chino Rotary Club. In October, Zeb met with fellow Rotarians to build a home in Tecate, Mexico. 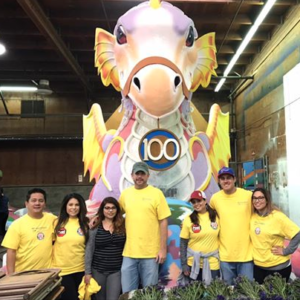 In December Zeb helped build the Rotary float for the Rose Bowl Parade with friends and fellow Rotarians.Zeb also hosted the Southern California Charity Golf Classic again in 2017 raising more than $12,000 for local charities. If you’d like to attend any of these workshops, reply to this email so I can make sure to let you know when they’re officially scheduled. These workshops fill up early. 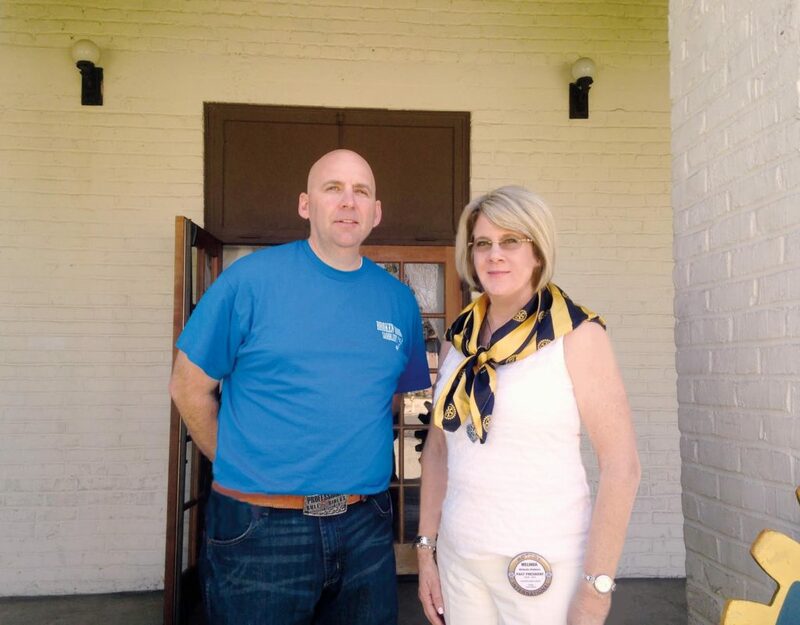 Zeb Welborn finished his term as Chairman of the Board of the Chino Valley Chamber of Commerce and passed the torch to fellow chamber member and friend Belinda Douglas. As chairman of the board Zeb’s mission was to be of service to the Chino Valley Business Community.He identified five things he wanted to accomplish during his term. 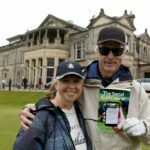 Find out if he did them and read his Outgoing Chairman’s Message – Outgoing Chairman’s Message: Thank You! We love hearing great things about the work we’re doing for our clients. This year we received several glowing testimonials about the work we do.We consider ourselves very fortunate to work with so many wonderful people and it’s an unbelievable feeling to know they feel the same way. Zeb is the current President-Elect for the Chino Rotary Club and will take over on July 1, 2017.The Chino Rotary Club has been around for more than 90 years servicing the Chino Valley community.Zeb plans to continue that mission and has devoted the 2017 year to helping the Chino Valley Community.The Chino Rotary Club meets every Wednesday at noon at the Chino Community Building for lunch and to work to do good things for our community and world. If you’re interested in joining the Rotary or learning more let us know! We are so fortunate to be able to do work that we love with people who are passionate and interesting. We hope you all had a Merry Christmas and will have a happy new year. We are so looking forward to 2017. 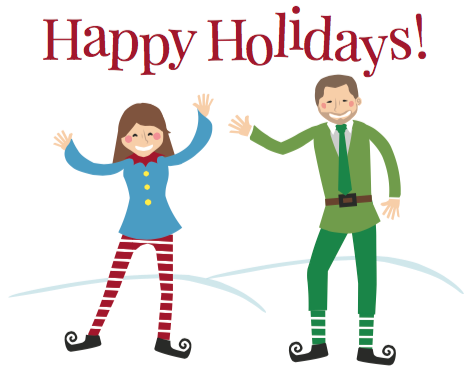 At the end of another amazing year we want to say Thank You! We will be sending out monthly emails and videos with tips and tactics on how to market your business better in 2017. 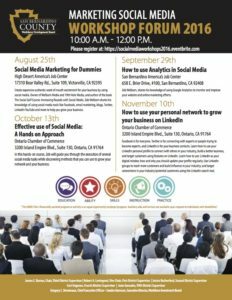 Our first emails will be the Best Strategies for Blogging Success and the Do’s and Don’ts of Facebook Marketing. Sign up for our email list in 2017 to keep tabs on the growth of our business and learn new ways you can help to grow yours. The Chino Rotary Club will be hosting our Annual Dinner & Auction on Thursday, February 4 from 6:00 pm to 9:00 pm at Los Serranos Country Club in Chino Hills. 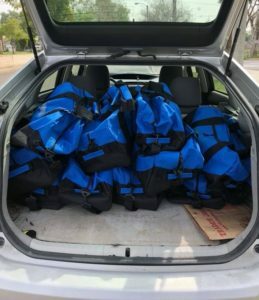 Do you have an awesome item or a giftable experience that would be great for an auction? Need some extra exposure for your business? Want to support local programs and services? Help us raise money for needed programs and services that directly impact the Chino Valley Community. Raffle tickets cost $2 each or buy a booklet for $20.